The Blue Ox has expanded our parking options with a large, well-marked lot just steps from our front door offering free parking for all guests. There is also plenty of street parking available. We are a short walk from the Lynn station of the MBTA Commuter Rail. Looking for a convenient North Shore location to host your next event? 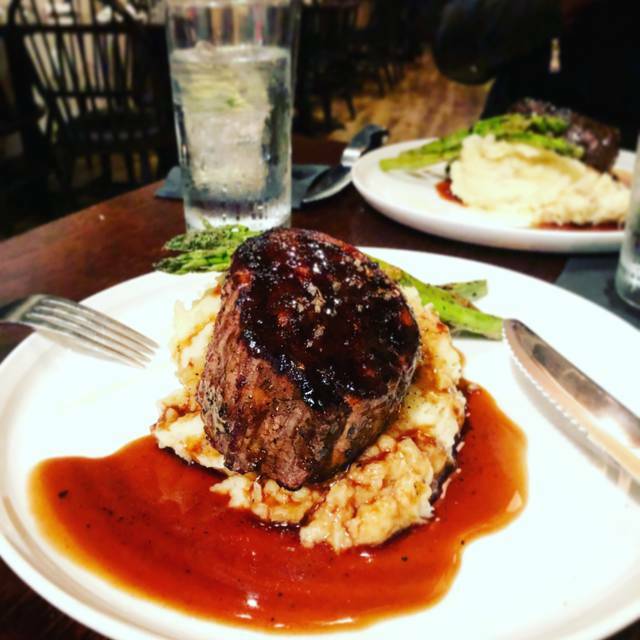 You'll see why The Blue Ox was voted "Best New Restaurant." Offering multiple private dining options, a professional staff, and delicious menu, The Blue Ox will exceed your expectations! 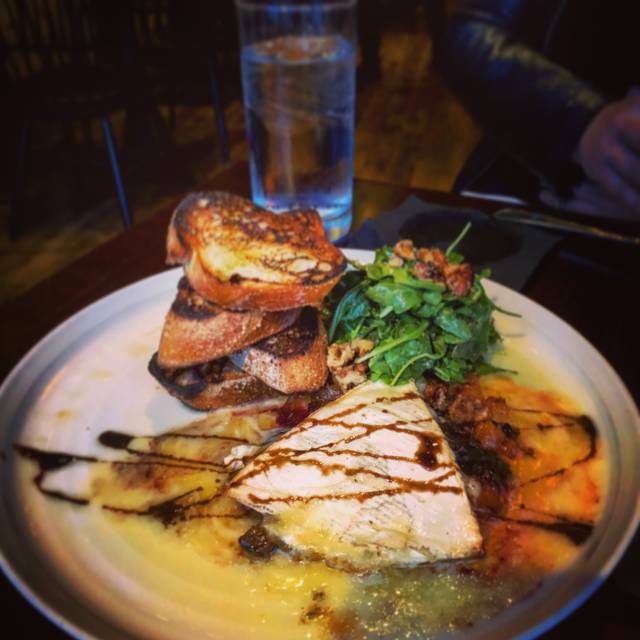 The Blue Ox is a casual neighborhood restaurant that strives to be inviting, relaxing, and value-oriented. Our dining room and bar offers an approachable American style menu with a twist, warm and family-friendly décor, and exceptional service filled with personality. Hi! We saw TBO on phantom gourmet and heard on various outlets their burgers were to die for! So, we made reservations in advance, 8pm was the best time that worked for us and we drove an hour north to celebrate a special date to us. Our server was so kind and sweet! We ordered calamari which had such a fun kick to it, recommend trying. And when we went to order burgers which we came for, the waitress explained they were out. Extremely disappointing to say the least, I wish they notified you they old make X amount of burgers when you make your reservation etc. We would have tried to come earlier or another date. Instead we ordered $30-45 meals each which wasn’t really expected. I ordered the hanger steak which was cooked perfectly and was really good. He ordered the filet and it was a little over cooked but still good. The food was good just disappointed to miss the award winning burgers and had to make the drive to eat the same meal we could of had closer to home. Excellent Service, great food, and a positive vibe! Acoustics are a bit to be desired but I am not sure how that could be addressed as there are some sound dampening materials on the ceiling to help with the problem. 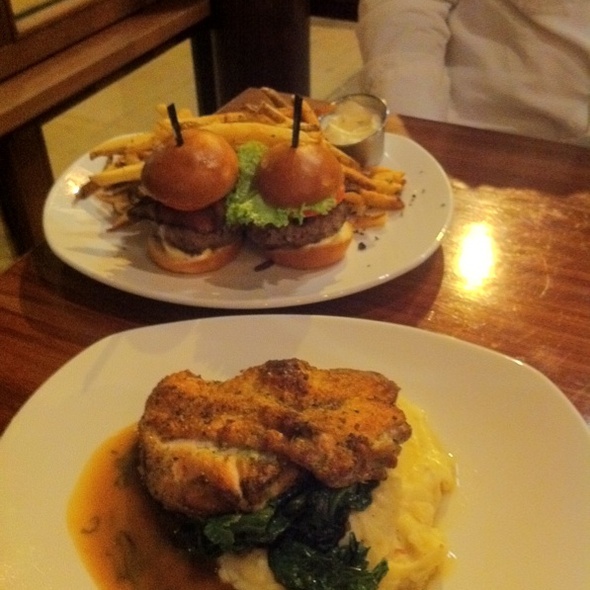 Regardless, we will be sure to return to one of our favorite restaurants ! We enjoyed being at the blue ox for dinner, every thing was excellent and we had a great time. The food here is always AMAZING! I had noted that we were celebrating a birthday and was hoping for a nice table, but we got placed at a table that was right at the service station. We felt like we were in the way of the staff throughout the entire meal. Waitress was a little harsh but her overall service was fantastic. Me and my boyfriend went here for dinner tonight, and I will definitely be back. We moved to the Northrop shore recently, and this is one of the best restaurants I’ve been to. Our server Nicole was excellent. She was very attentive but never interrupted the meal. Appetizer: The hummus plate is a MUST. The picketed veggies are incredible! I would have never thought to put that together, and now I will be doing this regularly. I ate all the pickled veggies so quick and the hostess was kind enough to bring me a couple sliced carrots and cukes without me asking! It’s that little touch that makes a dining experience. I had the French rose paired with the gluten free salmon which was DELICIOUS. They have a whole GF menu which is just amazing, and the food tastes so good! It’s so nice to go to a restaurant where asking for something GF isn’t difficult! 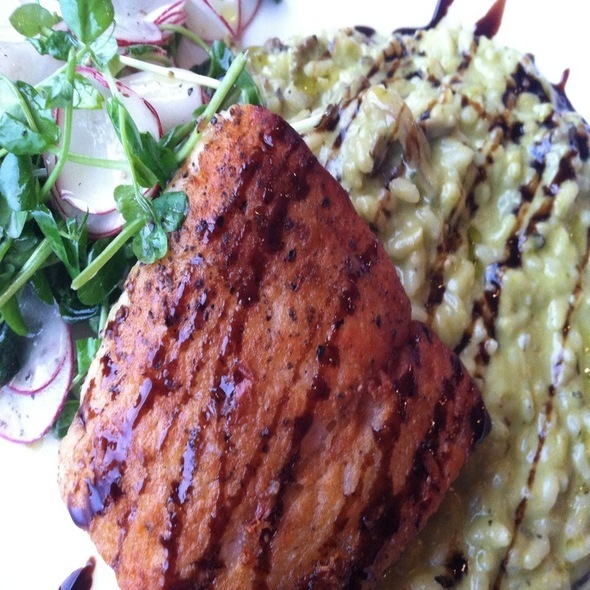 The salmon was a generous piece, cooked perfectly, and I loved my meal. My boyfriend got the pork tenderloin, which he liked, but not as much as the salmon. The broccoli slaw was a bit saucy. 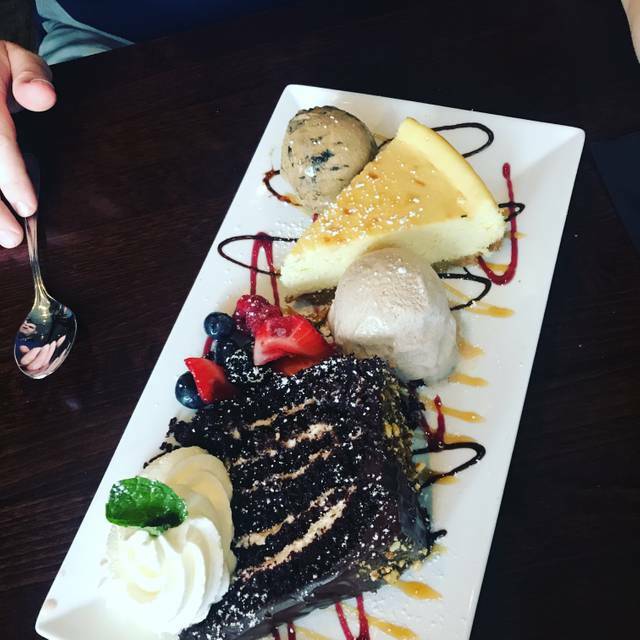 The real winner here is the dessert. WOW! Every bite was delicious and so beautifully plated. This place is incredible and we will be back! Another great experience! This is our go-to for special dinners and they did not disappoint. Food and service is consistently wonderful. The wait staff is amazing! Good food suggestions and conversation. The food...WHOA! I had the tuna tartar and mushroom ravioli, both out of this world with flavor. 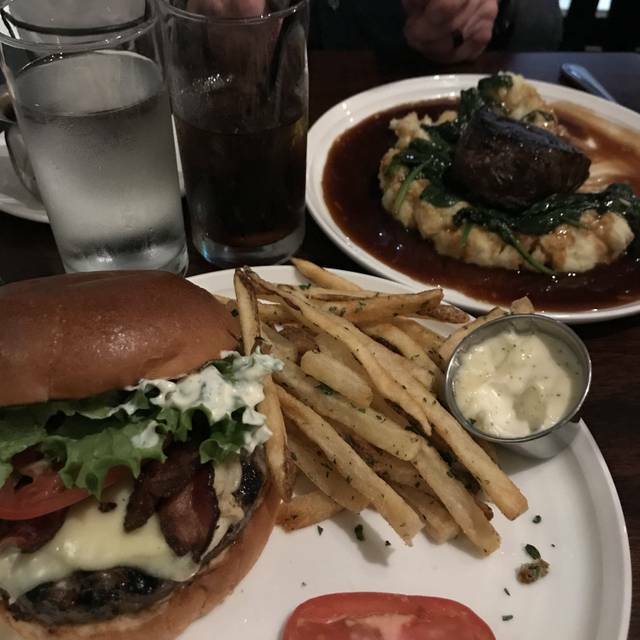 Do yourself a favor and choose the Blue Ox for your next meal. Last minute decision, later in the evening. We always love going to The Blue Ox. The service is always excellent. There are dishes we just love on the menu and this time my husband had one of the specials. They also make a cocktail that I love, the "Sibling Rivalry." Great vibe, great food, great drinks. Bartenders and wait staff are very nice. Overall, very enjoyable experience. The Blue Ox is a local gem. Our server was marvelous and the food was great. Herbs a little too strong in the ravioli and would love to see more vegetarian options especially an entree. Our server Matthew and Assitant GM Devin made for a great night out. Every time we go to the blue ox it is absolutely amazing. My boyfriend and I love not only the food but the people, especially Devin. Devin’senergy is amazing and he is knowledgeable and informative! Great neighborhood place! Server was “new”. but truly outstanding. We dine their as often as we can. For years this has been our favorite celebration restaurant. Last Saturday it was disappointing. At arrival for a 6 PM reservation the entire facility was mobbed and loud. We could barely walk to our table in the back room as the tables seemed to cover all the space. It looked like tables have been added to deal with higher demand. Fortunately we had a table near the window as I am hearing challenged and would not have been able to converse in the rest of the room. The food quality has dropped as has the quantity. I had halibut for $38 and the piece might have been 8 oz if that. My wife had the cod which she has been getting for years and the piece was smaller as well. It also didn't go well with mushrooms and broccoli rabe. It is a long ride from Beverly but it always seemed worth it. But we both have decided that we will look for local options. We will miss the baked Brie appetizer and the Sticky toffee pudding. Excellent experience as always. 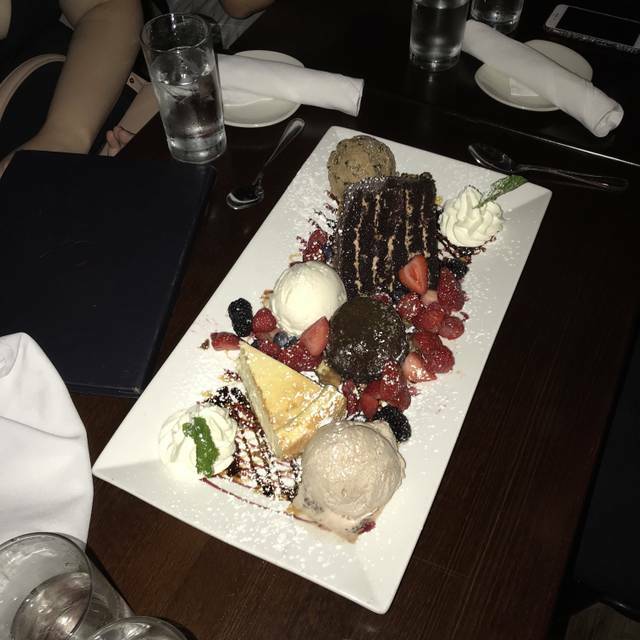 Fantastic apps, entrees, desserts, and drinks. The food was good, but rather pricey. Drinks were expensive as well, but overall a nice place to dine. Delicious food and even better cocktails! My favorite restaurant! Amazing. My new "go to" restaurant. A gem in Lynn ma. Food is incredible. Very welcoming. Would definitely go back ! Food and service were first rate. My only negative is that it was very noisy and with our party of 6 it was hard to communicate. Excellent food, varied menu, nice vibe, great service. Neighborhood gem. We love coming here. I my grandson who was visiting from New York had never been to the Blue Ox. 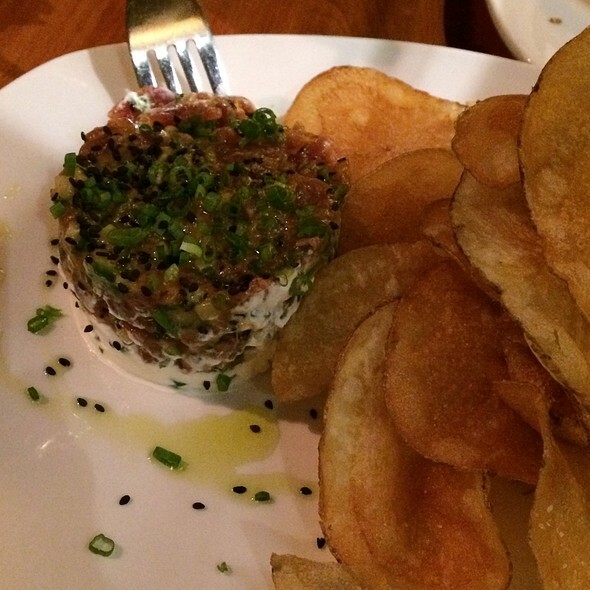 He started wth the tuna tartar and because It was his first time there so he wanted to try their famous burger. He was very pleased with both his selections. The service was as outstanding as the food. Started off with a suggested white wine which had hints of apple, pear.. tuna tartar with homemade potato chips that is the best you will ever have.. the annual Guinness corned beef dinner which has had me coming back annually for 9 years and topped with the sticky toffee pudding which is decadent ! Does not get any better than this. Always great - Food, drinks, service, atmosphere . It is ever NOT outstanding? Methinks no. Great service from a new-to-me waiter & awesome food. Again...as always. This is our go to for special occasions, food is always delicious and the service is outstanding. We had the pleasure of having Dawn as our server and she is outstanding ! I love the Ox. The food is always delicious and creatively prepared. Our party enjoyed the Faroe Island Salmon, a swordfish special and a rib eye special. The two having salmon brought home leftovers. We also had the baked Brie appetizer. It was Plenty to share between 4 people. The vibe here is lively and the crowd is a mixed age group. The cocktails are creative and delicious. And there are nice wine choices. We were too full for dessert but it was tempting. I loved the food! We had lobster with risotto and the bolognes! 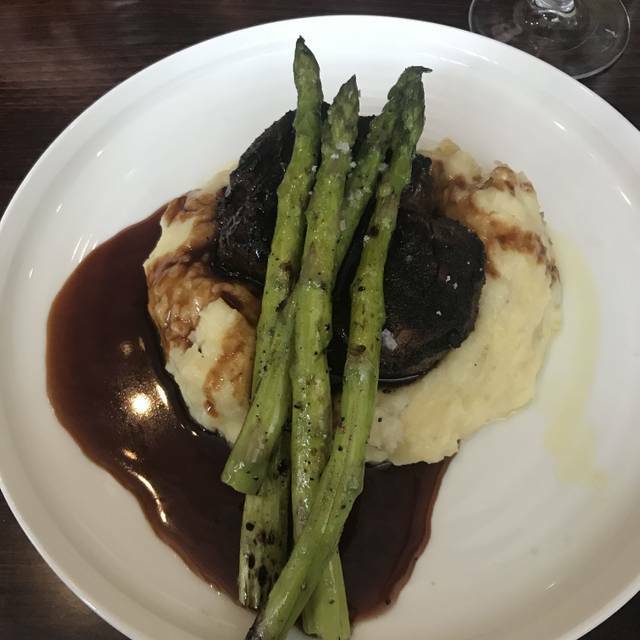 My husband had the filet. Both amazing! Great date night! Our waitress Effie was amazing!